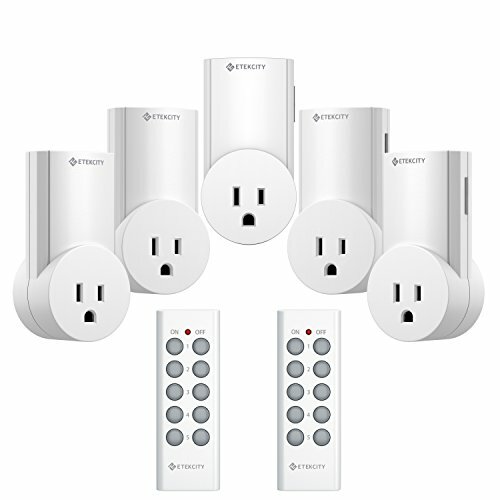 The Etekcity Remote Control Outlet Switch lets you remotely control hard-to-reach appliances and devices without built-in power switches. A strong RF signal works as far as 100 feet and through doors and walls without interfering with other electronics, allowing convenient control over small household appliances from across rooms or on second floors. Makes a wonderful gift for the elderly, pregnant women, or individuals with limited mobility.